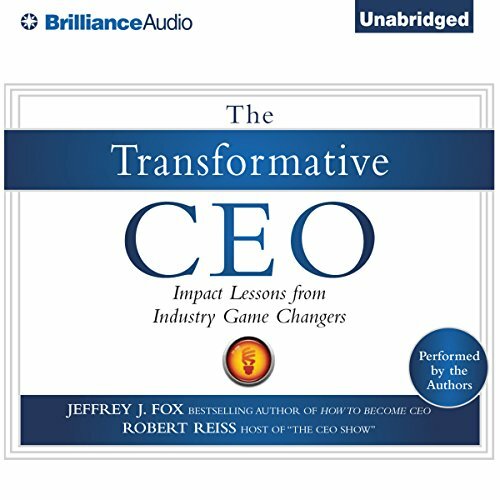 Showing results by author "Robert Reiss"
Best-selling author Jeffrey Fox literally wrote the book on How to Become a CEO, and radio talk show host Robert Reiss has interviewed several of the world’s top CEOs. In The Transformative CEO, they have boiled down the characteristics it takes to become a transformational CEO—the kind that takes problems and transforms them into opportunities for growth and profit. With research based on first-hand interviews with superstar CEOs, The Transformative CEO provides valuable strategies that any manager, business owner, or executive can use.